Callaway on the hot seat? This is not something I’m currently worried about because I believe that Callaway will end up being a pretty good manager, he deserves a learning curve like anyone new on an extremely tough job. Callaway was hired by Sandy Alderson on October 23rd, 2017, before the start of the 2018 season and got off to a hot start as the team started the campaign off going 20-11. We are all aware of the tremendous misfortunes that happened the majority of the rest of the season. Brodie Van Wagenen comes off as a intelligent dude, and I’m sure Callaway is as well. So, I don’t believe it would come to the surprise of Callaway if Brodie decided he wanted to choose a manager that best fits the team he’s assembling. This wouldn’t be the first or last time a GM has made the choice to cut ties with a manager due to this reasoning. The NY Post is attesting this pressure on the high expectations of the upcoming season… no. The Mets very well had high expectations last year, too. However, giving a brand new manager another year to turn it around and put the kill shot on the rest of the league just one year later is a little bit of a unrealistic expectation, just in terms of managing and not on field talent. Last season the Mets ended on a high note, going 31-20 which injected some hope into veins of the fans and Brodie Van Wagenen spent this off-season bolstering the organization, top to bottom. So yes, Callaway does have a load on his shoulders, but it’s no different then it was last year and it’s not much different compared to more than a handful of relatively new managers across the league. After going 77-85 in 2018, PECOTA projects the Mets to go 88-74 in 2019 while FanGraphs has the Mets at 85-77. While I’m not blown away by any of these projections, I’m also not going to put all stock in it. But, I think we’d all agree when I say I think we’d all like the Mets to get to that 90 win plateau. 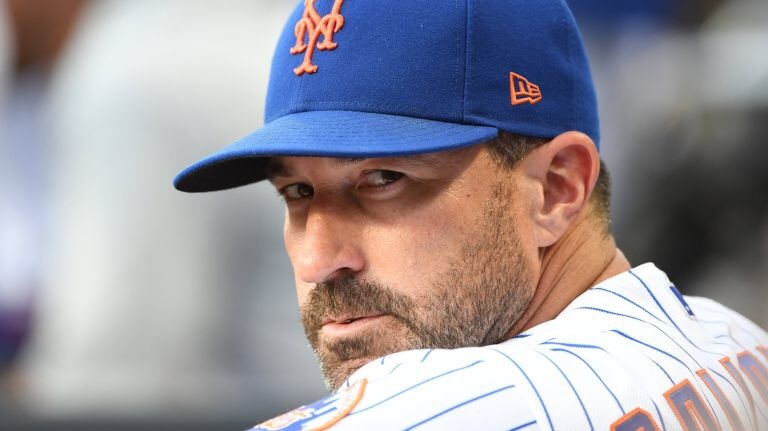 So as of now, Mickey Callaway is the Manager of my New York Mets and I’m all about it. I don’t expect 108 wins like last year’s RedSox, but do I expect that we give the same courtesy we give players, like he time to break into the league and rightfully so. Every manager deserves that same respect. Go Mickey, you’re so fine, you’re so fine you blow my mind… Go Mickey! !